Science Class, assignment update letter. Nov. 7th - Nov. 11th, 2016. This week we'll be informing your mid term achievements report, so we need to work a little harder. 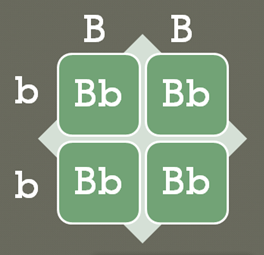 This week we'll be finishing the cell's division process and introducing the Ch. 6 Heredity. As homework you need to resolve the Mitosis drawing as showed in your tx-bk pag 104-105 and the Make Conections diagram in Ch. 5 review pag. 109. These, along with the Photosynthesis at home lab practice results, will be graded this wednesday to be added in your midterm report. This tuesday will be finishing Ch. 5 The Theory of Plate Tectonics. As home work I request that you resolve the Discover Activity described in your tx-bk pag 150 and write your observations and the think it over inquiring answers in your notebook. These, along with the 2 lab practices reports that we performed last week, will be graded and added to your cumulative midterm achievements. By thursday we'll be introducing Ch. 6 section 1 Forces in Earth's Crust. On monday nov. 7th. we'll be performing the lab practice "Shape up" in the 1st. period of our science class. then we'll continue with the Naming of Ionic Compounds and the introduction to Covalent Bonds. As home work I request you resolve the Discover activities described in your tx-bk pages: 114 "How do Ions form" and 121 "Why don't water and oil mix?". Bring your observations, in the lab report format shown in our last blog, written in your notebook. These activities have to be completed by wednesday to include them in your midterm cumulative. Science Class, 2nd. partial, assignment update letter. Oct. 31st - Nov. 4th, 2016. 7th Grade, assignments activity update. At the end of the week, that is for Nov. 3rd., we'll be studying DNA and genetic coding, as well as applied genetics. Remember to work on your "How does light affects plants growth?" project, tx-bk pag 102, and record any changed happend during the 6 weeks observation days. Ask your home relatives not to touch by no means your experiment objects: the 2 pots, one located in a dark spot, and the other located in plain sun light. No more homework but this important activity. 8th Grade, assignments activity update. My dear Earth Science students, this week we'll be performing 2 lab practices to help us understand the topics about sea -floor spreading and Convection currents.This will be done Monday Oct. 31st. Distribute these materials for each team of students, remember we made groups last partial, keep the same distribution, and agree which material will bring each member of the team, so each team would have their own material to perform both lab practices. At the end of the week we`ll be exploring The theory of Plate tectonics and Earthquakes, I'll be delivering a woork sheet about this topics, on monday, for you to resolve as a homework to be presented next week. 9th Grade, assignments activity update. 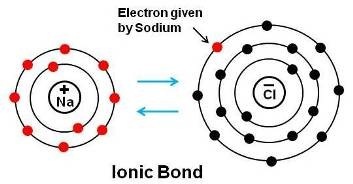 In this week we'll be exploring: Ionic bonds and Covalent bonds and performing our 3rd. lab activity: Testing 1,2,3. tx-bk pag 97/98. I already ask for the materials that by next week should be ready for performing this activity. Check them out in your tx-bk. Remember it was programmed by teams. At the end of the week, we'll be talking about Crystal Chemistry, and as a home work I suggest you resolve the Discover activity: Organizing the elements, tx-bk pag: 81, in your notebook. You can work this in pairs but the H/W is going to be evaluated individually. This we'll be all for this week my physical science students, enjoy your weekend. Science Class, 2nd. partial 2nd. assignment update letter. Oct. 24th - 28th, 2016. In this section you'll be performing the lab practice: "Movements across membranes" so be ready to enjoy our 2nd lab exploring experience and relate its findings with the concepts that we'll be sharing in class time. As a homework- try to perform the "You can't make an Omelet..." activity, described in your tx-bk pag. 95. Remember to record every finding during this activity and write them down in the lab report format that we have discussed since the 1st. partial. 3) What is the function of the cell wall in these movement processes? 4) What is the function of the cell membrane in these movement processes? 5) Why did the animal cell burst out in the high water potential zone, in contrast with the plant cell that didn't suffer any change at all? In this section you'll be exploring how plants processes energy from the sun's light. I suggest you perform at home the "Leaves of Gas" activity, described in your tx-bk pag. 99, as well as the "Plants you eat" in pag. 100. Remember to record every step of the activity in a lab report format. Well, that will be all for next week. Enjoy your weekend! In this week you'll be performing the lab practice: "Princeple of Seismograph" so be ready to enjoy our 2nd. lab exploring experience and relate its findings with the concepts that we'll be sharing in class time. Try to resolve at home, the lab zone skills activity "Creating Data tables" described in your tx-bk pag. 129, it will be finished up during our class time. As a homework you will be resolving the Discover activity in your tx-bk pag.136 How are Earth's Continents Linked Together? Answer the think it over inquiry at the bottom of the activity description in your text book. You may add some images to illustrate your homework. 9th Grade, assignements activity update. Here is a video so you can have a image of what is this topic about. In this section you'll be performing the lab practice: "Shape up" so be ready to enjoy our 5th. lab exploring experience and relate its findings with the concepts that we'll be sharing in class time. Try to resolve at home, the sharpen you skills activity "Interpreting Data" described in your tx-bk pag. 117, it will be discussed during our class time. As a homework you will be resolving the Discover activity described in your tx-bk pag. 114, and resolve the Think it over inquiry that accompany this activity, you may write your observations in your notebook and paste some images to illustrate your activity. Discover activity "Which is easier" in your tx-bk pag 81, resolve the think it over inquiry. and the Alien Periodic table as well described in the tx-bk pag. 104. 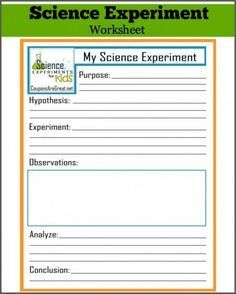 Don't forget to write down your observations, for this activity in particular, in a lab report format, presented at the begining of the year. 7th Grade, assignements activity update. As a homework try to perform the "You can't make an Omelet..." activity, described in your tx-bk pag. 95. Remember to record every finding during this activity and write them down in the lab report format that we have discussed since the 1st. partial. In this section you'll be exploring how plants processes energy from the sun's light. I suggest you perform at home the "Leaves of Gas" activity, described in your tx-bk pag. 99 as well as the "Plants you eat" in pag. 100. Remember to record every step of the activity in a lab report format. 8th Grade, assignements activity update. In this section you'll be performing the lab practice: "Princeple of Seismograph" so be ready to enjoy our 2nd lab exploring experience and relate its findings with the concepts that we'll be sharing in class time. As a homework you will be drawing in your notebook, a figure from your tx-bk pag. 129 it is figure 6 Lithosphere and Asthenosphere. You may use construction paper in different collors so you can make a nice copy of that image. and the Alien Periodic table as well described in the tx-bk pag. 104. Don forget to write down your observations, for this activity in particular, in a lab report format, presented at the begining of the year. For this week, we`ll be checking out our 1st. partial grading and performing a feedback of those topics that showed to be not as well understood and learned as expected, during this school year's first academic period. This tuesday I've programed to develop a dialogued exposition with Ch.4 Cell's Theory and Structure, We`ll resolve some worksheets related to this topic to make a closure to every doubt that you could have about it. By thursday we'll be starting Ch. 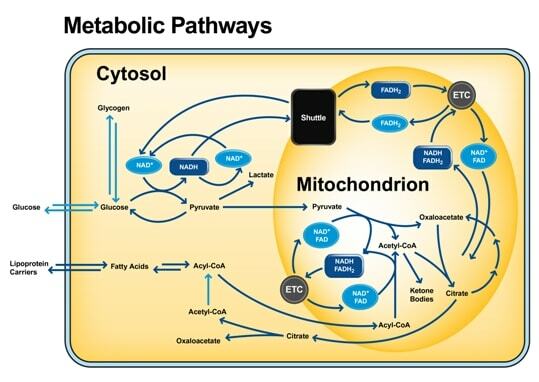 5 about cells and living organisms behavior and metabolism. For those of you that need to undergo the leveling process, there is a Image with a chart to do about the animal cell and its organelles, explaining each one description and vital function, that will be explained during our regular science class. The image has to be about an animal cell that can be drawn with detail and colored, this issue is going to take into special account on the effort that the student makes by illustrating the cell's structure. As well for those students that don't have the drawing skill it can be printed in color or, cut from a science magazine but it has to be a least of a post card size. Then each organelle has to be laveled with a code that match the chart that will contain each organelle description and function. Remember to make a comment about the particular structure that differentiate a plant cell from an animal cell. This activity, has to be presented as a lab report in a spear file, with a forepage with the student`s personal information, subject and date. As well it will be valued as a leveling instrument for you to aprove the partial grading. I hope that you can accomplish all you can and work hard this new academic period. For this week, we`ll be checking out our 1st. partial final grading, and performing a feedback of those topics that showed to be not as well understood and learned as expected, during this school year's first academic period. This tuesday I've programed to develop a dialogued exposition with Ch.4 Rock formation cycle and Coral reef rocks, We`ll resolve some worksheets related to this topic to make a closure to every doubt that you could have about it. By thursday we'll be starting Ch. 5 about earthquakes. For those of you that need to undergo the leveling process, there is a guide of study to solve, about classifying rocks, that will be delivered and explained during our regular science class; this activity will be valued as a leveling instrument for you to aprove the partial grading. It has to be presented as a lab report in a spear file with the student personal information, subject's name and date. This tuesday I've programed to develop a dialogued exposition with Ch.3 Periodic Table. We`ll resolve some worksheets related to this topic to make a closure to every doubt that you could have about it. By thursday we'll be starting Ch. 4 about Chemical Reactions. For preparing yourselves for the science test this next thursday, you have to study with your text book from pag. 75 to 88, and pay close attention to the figures and graphs that are contained in those pages. I'll be revieweing your note book this thursday as well, I'll be grading all your reports and cardboards presented to Mr. Galeas in your expos, as well as all section reviews developed as classwork, so have it completed to refresh your accumulative grading for this 1st. partial. See you tomorrow. For preparing yourselves for the science test this next thursday, you have to study with your text book from pag. 94 to 112, and pay close attention to the figures and graphs that are contained in those pages. I'll be revieweing your note book this friday, I'll be grading all your reports and cardboards presented to Mr. Galeas in your expos, as well as all section reviews developed as classwork, so have it completed to refresh your accumulative grading for this 1st. partial. See you tomorrow. For preparing yourselves for the science test this next thursday, you have to study with your text book from pag. 76 to 99, and pay close attention to the figures and graphs that are contained in those pages. I'll be revieweing your note book this thursday as well, I'll be grading all your reports and cardboards presented to Mr. Galeas in your expos, as well as all section reviews developed as classwork, so have it completed to refresh your accumulative grading for this 1st. partial. See you tomorrow. My dear 7th. 8th. & 9th. Students: Due to my traveling overseas, I've arranged my substitution with Mr. Lombardo Galeas who is going to be incharge of you until my comming back on October 10th, if God allows our proposals. In this matter, here is what its going to be review for your mid term evaluation report, so try to make Mr. Galeas to take note of all your pending assignmets that haven't been graded. Description of the activities to be evaluated for reporting mid term partial. - 3 notebook revisions, with everything that has been developed in class and this blog prior assignments. - 1 self-analysis report of your capabilities to study science in the 7th. Grade according to a scientific report. - Questionnaire about Earth and Living things, described in Blog 2nd. Week of clases. - Laboratory about how to operate the microscope, observing blood cells. and 5% of class behavior related to our Class rules compromise. Be sure to have these activities fullfil so you can show to Mr. Galeas your note book with all your accomplishments, and he could actualize your actual Mid term grading. See you back on October 10th, 2016. 3 notebook reviews, with everything that has been developed in class and this blog assignments. 1 Safety Symbol hand-crafted, made in construction paper. 1 Essay about a fiel of Science of your choice, as assigned in this Blog, 2nd. week. 1 Study guide resolved in class time, about topography & mapping. 5% of behavior related to our Class room compromise. Take a look on activities #2 & #3, in your text book, to gather all the material needed to resolve them. 1 Study guide resolved in class time, about Scientific Inquiry. 1 Study guide resolved in class time, about Describing matter. and 5% of behavior related to our Class room compromise. Be sure to have these activities fullfil, so you can show them to Mr. Galeas your note book with all your accomplishments, and he could actualize your actual Mid term grading.